The promo is valid from February 1 – 28, 2019. The RCBC Bankard Airmiles Program is open to all Visa, MasterCard, JCB, and CUP Classic, Gold, Platinum, Diamond and World MC, Balesin City Club & Phoenix RCBC Bankard principal cardholders whose accounts are active and in good credit standing as determined by the RCBC Bankard at the time of enrollment. JCB MyDream, Landmark, LJC, Mango, Wilcon, Sta.Lucia, Fully Booked, HBC and Corporate Cards are not eligible to enroll in this program. An eligible principal cardholder may enroll in the RCBC Bankard Airmiles Program by calling Customer Service Hotline at 888-1-888, 888-1-883 for Premium Hotline or via email to service@rcbcbankard.com. 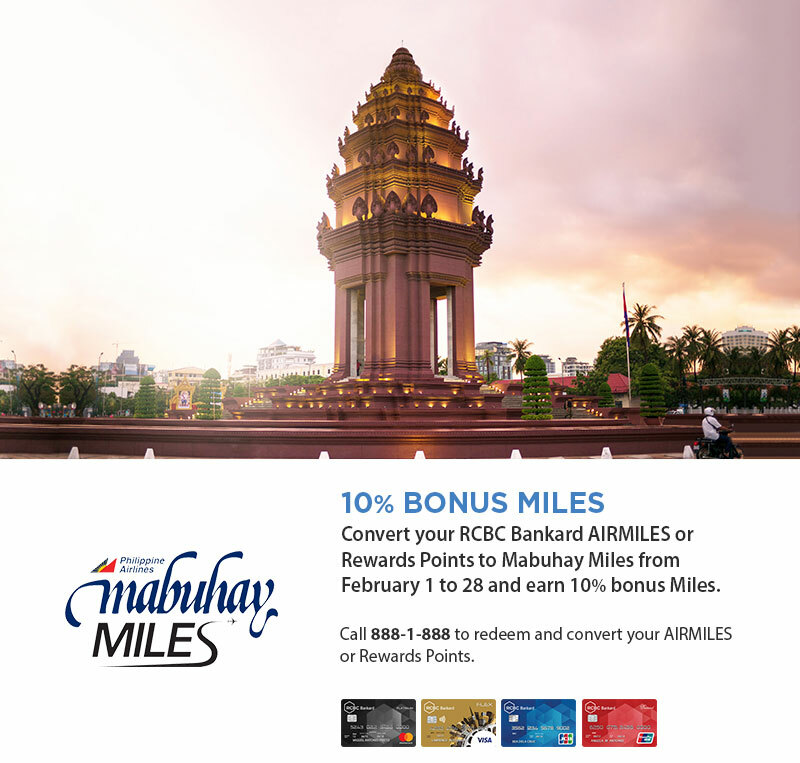 Airmiles may be redeemed as PAL Mabuhay Miles at a conversion rate of three (3) Bankard Airmiles = one (1) Mabuhay Mile. Minimum Airmiles required per redemption is 1,500 Airmiles. Redemption of Airmiles may be done in increments of 1,500 Airmiles. Airmiles may not be converted into Cash, Gift Vouchers, and Rebates. Cardholder must be a member of the Mabuhay Miles to be able to redeem his/her Airmiles as Mabuhay Miles. Redemption of Airmiles to a Mabuhay Miles within the promo period will entitle a cardholder to 10% Bonus Miles to be credited to his/her Mabuhay Miles membership account within 5 working days after the end of each month. Redemption of Airmiles to a Mabuhay Miles membership account other than the cardholder’s is strictly prohibited. Cancellation of redemption request is not allowed. 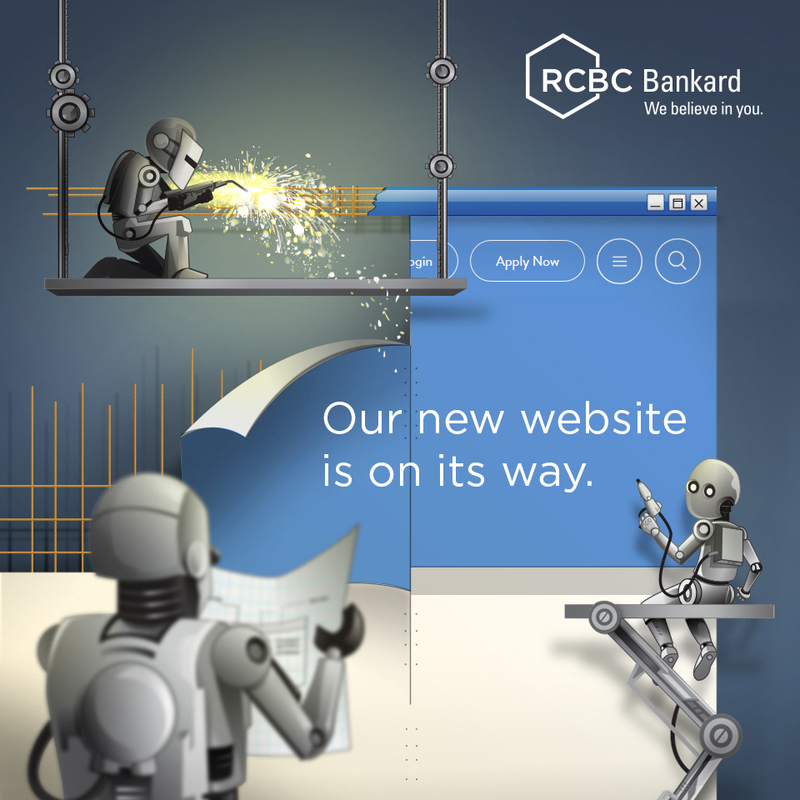 All other prevailing terms and conditions governing the use of RCBC Bankard credit cards apply. Per DTI-FTEB Permit No. 0952, Series of 2019.